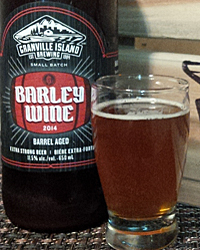 Granville Island Brewing: 3 Year Barleywine Vertical – This is the first of many vertical reviews that I intend to write over the course of this blog. 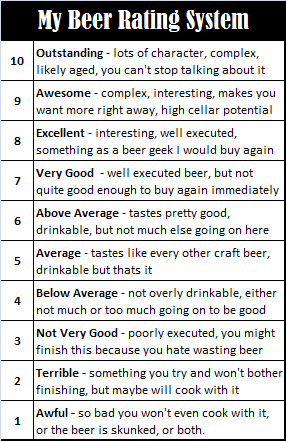 A vertical, for anyone who may not know, refers to different vintages of the same style of beer from the same brewer which if tasted at the same time gives you a chance to truly experience how a beer has developed over time. Verticals can be slightly hindered by massive recipe changes, however most brews tend change ever so slightly of the years anyway due to blending and varying alcohol by volume, so some variety is to be expected no matter what you do. 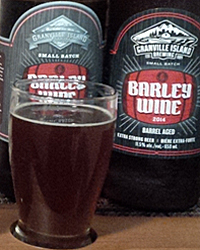 For this vertical tasting, I have chosen three vintages of a Bourbon Barrel aged Barleywine from Vancouver based Granville Island Brewery, which operates both a large macro owned brewery as well as a small batch craft brewery where these 22 oz bottle small batch releases are made. 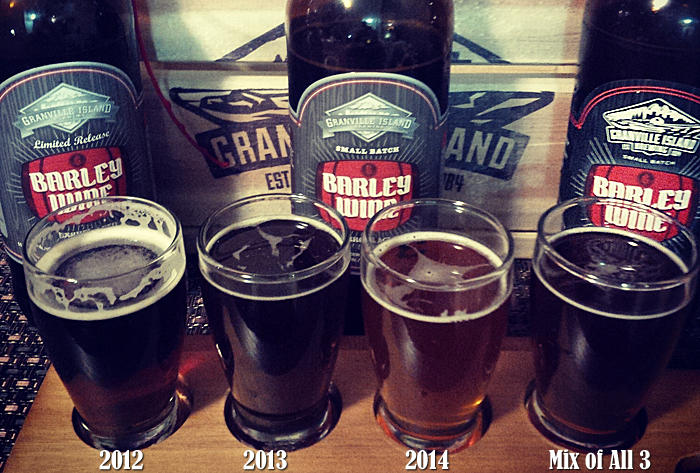 For fun, I also mixed all three vintages in my last sampler glass to see how they tasted equally blended together. Since I did this vertical solo and the idea of even attempting to drink three 22 oz bottles of 11.5% abv beer in one sitting scared the crap out of me, I saved half of it for next day consumption. You’ll need to read to the bottom to see how that went, hint – it was amazing! Appearance and Aroma – Pours a dark amber colour with a think foam layer and no bubbles. 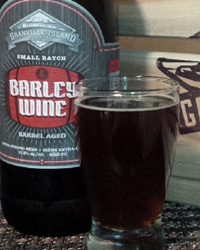 The aroma is maple, hints of cough syrup, sherry, brown sugar, caramel and earth. Flavour – Very earthy with lots of booze and sherry upfront and an intense syrupy toffee middle, it brings even more sherry on the finish with some sugary notes. Overall Impression – Still a bit harsh despite two years of cellaring, yet very nice. Appearance and Aroma – Pours a mahogany brown colour, darker than 2013, with no foam or bubbles. The aroma is toffee, sherry, nuts, booze, vanilla, oak and caramel. Flavour – Earth and sherry upfront with a very savory oak, vanilla and nutty middle. This finishes with some malted toffee and brown sugar sweetness. Overall Impression – Intense, but very balanced and the oak was near perfect. Appearance and Aroma – Pours a cloudy copper colour with no bubbles or foam. 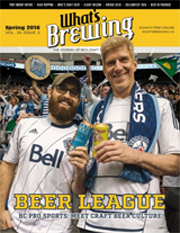 Its aroma is leafy hops, mild caramel and toffee. Flavour – Some caramel upfront with hints of toffee and earth in the middle with a thwack of heavy bitters and pine on the finish. Overall Impression – Perhaps I was too spoiled by 2012/2013, but I was not a fan of this one and did not enjoy the recipe change. Rating – 4/10, below average. Don’t fix what isn’t broken! Appearance and Aroma – Pours a copper amber colour with no foam or bubbles. 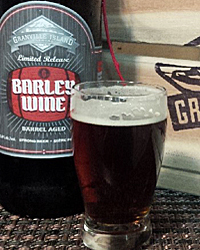 Its aroma is oak, vanilla, sherry, earth, brown sugar and hints of piney hops. Flavour – Caramel and oak upfront, with a pleasant mix of vanilla, toffee and red velvet cake in the middle. It finishes with bits of brown sugar and some pine resin. Overall Impression – Seemed to highlight some very interesting parts of each vintage, quite enjoyable. Rating – 8.5/10, I know what to do with the rest of my 2014’s if they don’t mellow! I did this vertical at home and saved what was left over from day #1 in a sealed growler in the fridge for the next day. Barleywines and Imperial Stouts are one of the few beers that can truly last in an opened growler. I find that they can actually improve because you get a hyper oxidation effect that really lets it breath and mellow significantly – wine can be like this too, if it’s too harsh you can re-cork it and pop it in the fridge for a night making it quite perfect the next day. I have to say, the blended day after version of this was an easy 9/10, possibly a bit higher in terms of flavour, very similar to Deschutes Mirror Mirror which is a real beauty of a Barleywine. Sounds like a ton of fun! I liked all three vintages but I didn’t like that there was a change to this years vintage. I agree why change a good thing. And such a drastic change too, I mean 2013 was right up there with the best of them and 2012 wasn’t too far behind. Oh well, I wonder if they’ll even continue with this one. Gladly, I have a healthy supply of 2013’s! With it being Vens baby and Vern being gone I would assume its dead. I mean he had to fight to make so many of the beer that he did make. It took years of fighting to be aloud to make his CDA.